When building large-scale goal-oriented models using the i* framework, the problem of scalability arises. One of the most important causes for this problem is the lack of modularity constructs in the language: just the concept of actor boundary allows grouping related model elements. 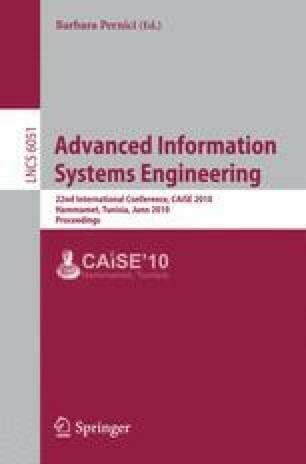 In this paper, we present an approach that incorporates modules into the i* framework with the purpose of ameliorating the scalability problem. We explore the different types of modules that may be conceived in the framework, define them in terms of an i* metamodel, and introduce different model operators that support their application. This work has been partially supported by the Spanish project TIN2007-64753.